Can HF and VHF radio propagation overcome extreme weather? Thunderstorms and heavy rain have a palpable effect on communication systems. 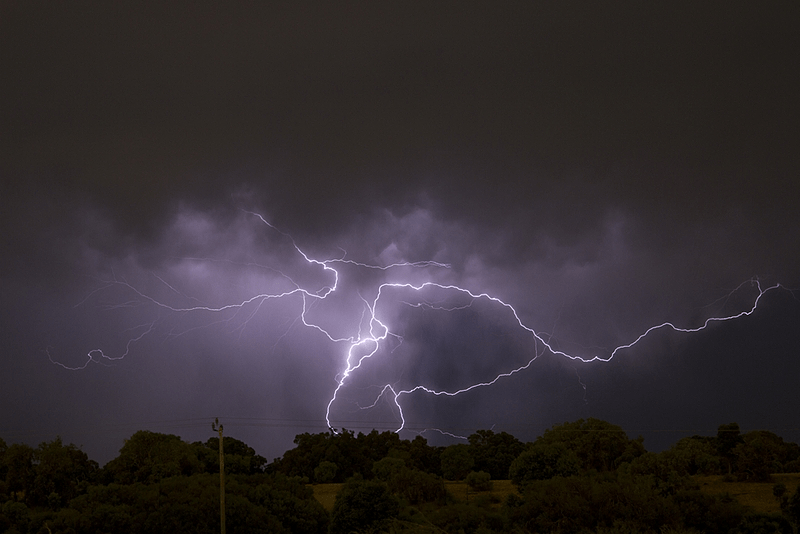 Internet connectivity is notably disrupted by extreme weather events and phone conversations can be distorted by static caused by lightning. In some cases severe weather can compromise or destroy conventional communications infrastructure such as phone lines, leaving individuals with no means of contact. That’s where commercial HF and VHF radio equipment can succeed when conventional communications fail. Although factors such as thunder and rain can affect communication, HF radio propagation can overcome the extreme weather that plagues other means of communicating through crucial features such as Digital Signal Processing and communications path assessment software. Why are HF and VHF radios ideal for infrastructure-free communications? HF radio signals are propagated via ionospheric transmission, with transceiver devices emitting sky waves directly towards the atmosphere. These signals bounce off the layer of gases and back to Earth’s surface, to be picked up by a receiver. VHF ground waves, meanwhile, transmit data over line-of-sight between radio devices. This means of transmitting information negates the need for phone lines, broadband or other communications hotspots our modern devices rely on. This means operators can make contact as and when needed, regardless of remoteness or weather conditions. 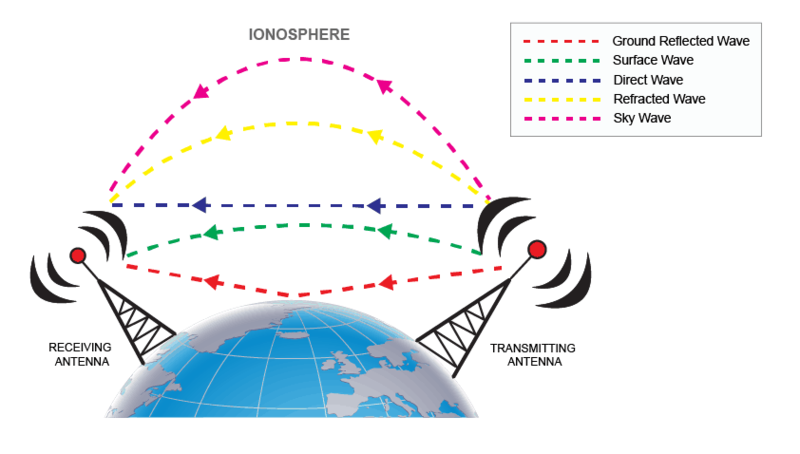 HF radio signals travel via the ionosphere, while VHF propagation occurs via ground waves or direct transmission. How does severe weather affect HF and VHF radio propagation? • Passing the ‘day-night terminator’ line (the meeting point between land exposed to sunlight and left in darkness). • Emitted from equatorial regions of the world. • Broadcasted on lower radio frequencies (the communication bands used at night). Signal attenuation refers to any event that reduces the ability of a wave to pass from one location to another. In line-of-sight communication airborne elements such as snow, fog and snow can all affect communication quality. Of these weather conditions, rain has the greatest effect on VHF data transmission. This is achieved through absorption (with the water drop absorbing the power of the radio signal) or scattering (disrupting the data from its transmission path). Barrett’s 4050 offers Digital Signal Processing and Digital Voice features to reduce the effect of weather events. How do Barrett Communications’ radios negate these issues? Digital Signal Processing is designed to analyse incoming radio signals and remove background interference while boosting audio signals to provide clearer data transmission. 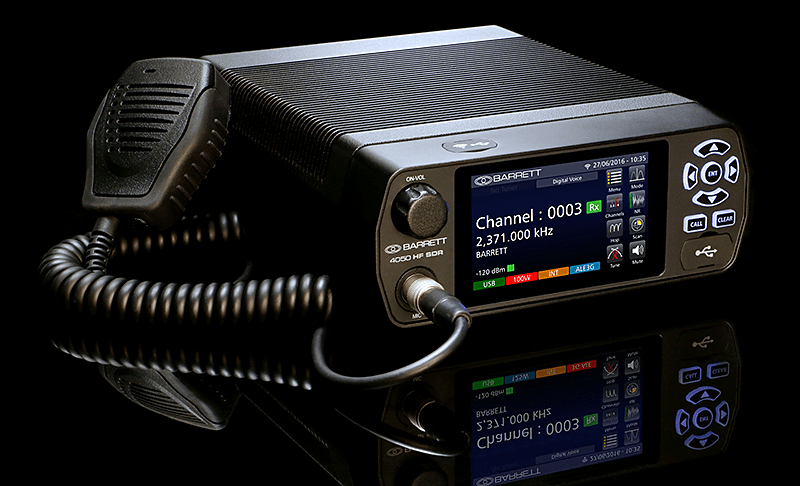 This is just one of the tools built into Barrett’s range of commercial radios, such as the Barrett 4050 HF SDR transceiver – another is the Digital Voice solution. This is designed by Barrett’s engineers to enhance communications quality, no matter the prevailing conditions. The Path Profile Analysis solution available in Barrett’s VHF devices enable operators to choose a transmission path that facilitates accurate communication. Radio users enter known data factors that could affect communications into the tool, such as the distance between transceiver and receiver. It then responds with details on the topographical features between the two VHF sites and the likelihood of establishing a successful connection. For more information on Barrett’s range of commercial HF and VHF radio devices, reach out to the sales team today. We can help, rain or shine, to select the equipment needed to suit your application.